Thousands of people came to Hamburg on the 21st of December to participate in the protest against the eviction of the Rote Flora squat, for a right to stay for refugees, and to show solidarity to the evicted residents of the Esso houses. Everybody knew that it would be a chaotic day, with thousands of autonomous activists and thousands of riotcops standing against each other in Hamburg. Still, everything went differently than we first thought it would go. The pre-gathering in front of the Rote Flora squat was scheduled to begin at 2pm, and the big international demonstration was due for 3pm. Thousands of people gathered there already at noon. The atmosphere was great; people were full of enthusiasm and wanted to take the protest to the street. So, finally shortly after 3pm, the march started. Not only was it one of the biggest demonstrations of the year but also the shortest. The police stopped the march under a bridge after 20 meters. Cops immediately used pepper spray and batons to force the activists to stop. A few seconds later, two water cannons also came to push back the demo to where it started. 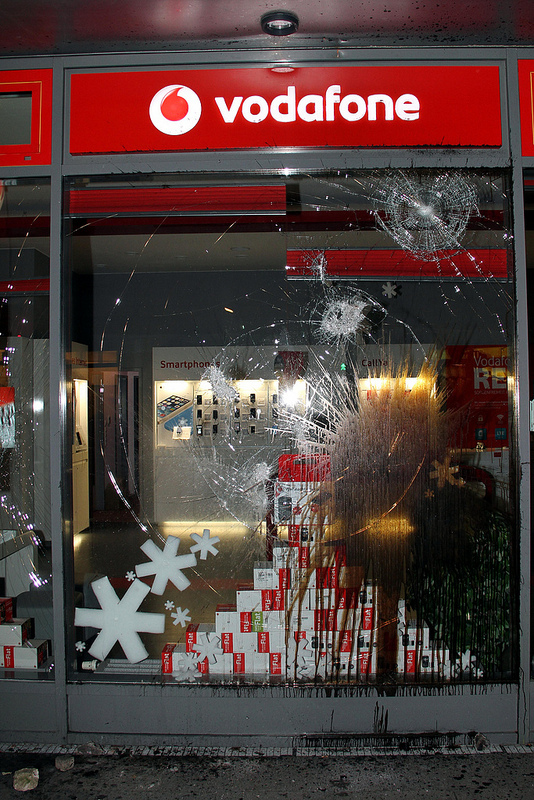 Then activists responded with stones, bottles and fireworks against the police. People were being pushed back, because more and more cops stormed against the crowd, hitting almost everyone in their way. In the end it seemed like, even though there were hundreds of protesters fighting the cops, they had no chance because there were hundreds if not thousands of cops in full body armor attacking them again and again. Another problem was that there was very little material to throw at the police. Many people had prepared themselves for street fights with the cops that day, but were initially paralyzed because of how fast the police escalated violence. 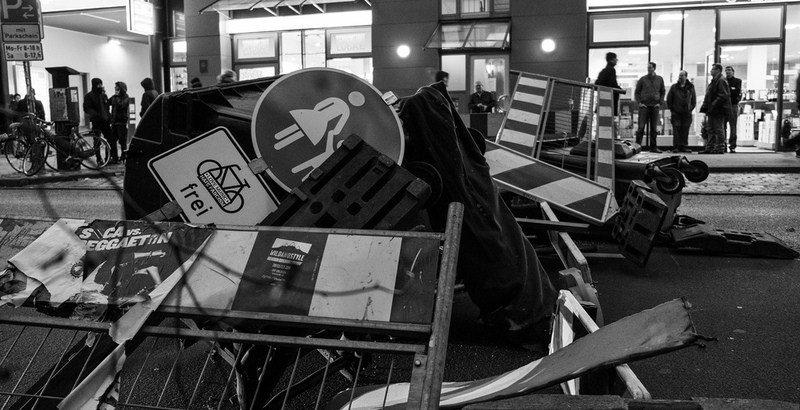 Activists built barricades out of trashcans, benches and tables from restaurants nearby. 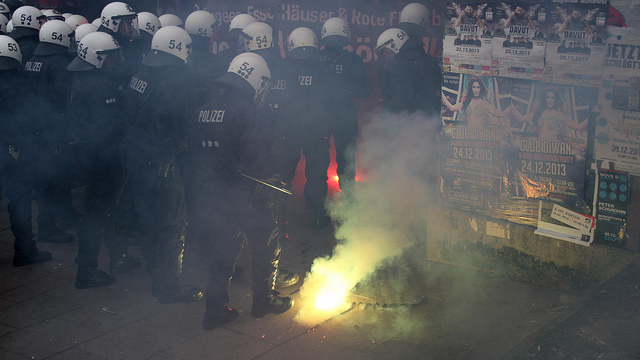 After 30 minutes of clashes, the police managed to gain control of most of the place in front of the Rote Flora. 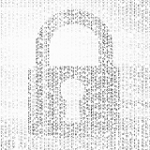 By then everybody had accepted the fact that there would not be a large demonstration in Hamburg that day. So people just used a different strategy to take the protest to the streets. 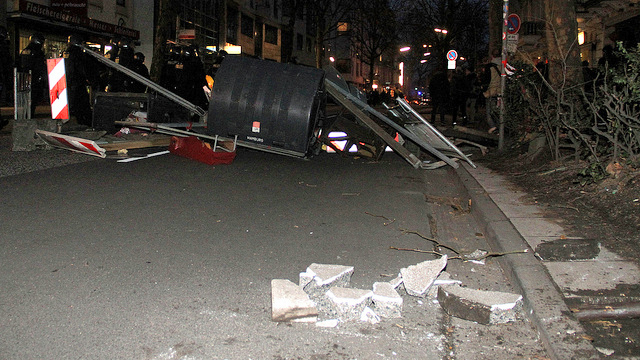 Shortly after the police attacked the demo, some activists already tried to get away; people realized that the demonstration would not go on, so they wanted to leave the location and start their own actions in the city. Even though almost every street was blocked by hundreds of riotcops, many activists managed to leave the scenery. Then they formed spontaneous demonstrations in the entire city. Sometimes demos with only 50 people and sometimes demos with over 1,000 people walking through the streets, attacking cops, banks, shops (big corporations like McDonalds and Vodafone) while building barricades. 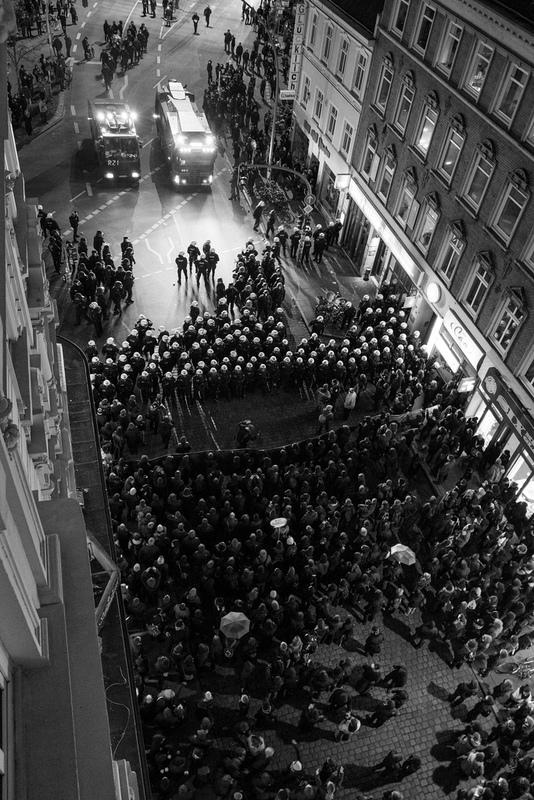 Long into the night you could hear fireworks and people shouting slogans in all of Hamburg. People didn’t wait for someone to start the action; they started it themselves again and again. The police mostly just tried to chase us away and stop direct actions, because as it seems they didn’t have enough capacities to make a lot more than twenty arrests with charges that day. It is hard to say whether this was a ‘victory’ or a ‘loss’ for the protest. We did not manage to demonstrate like we first wanted. 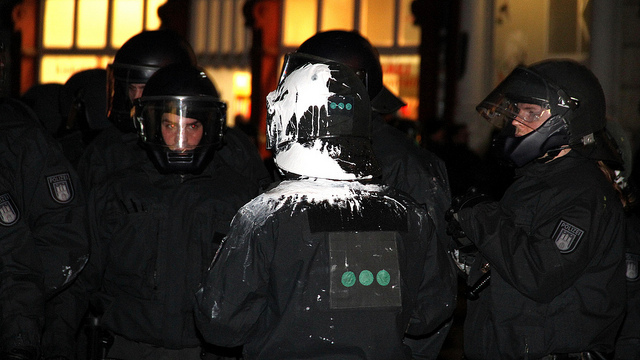 The police clearly wanted to stop the process of combining three main struggles in Hamburg: Rote Flora squat, refugee struggle and Esso houses. 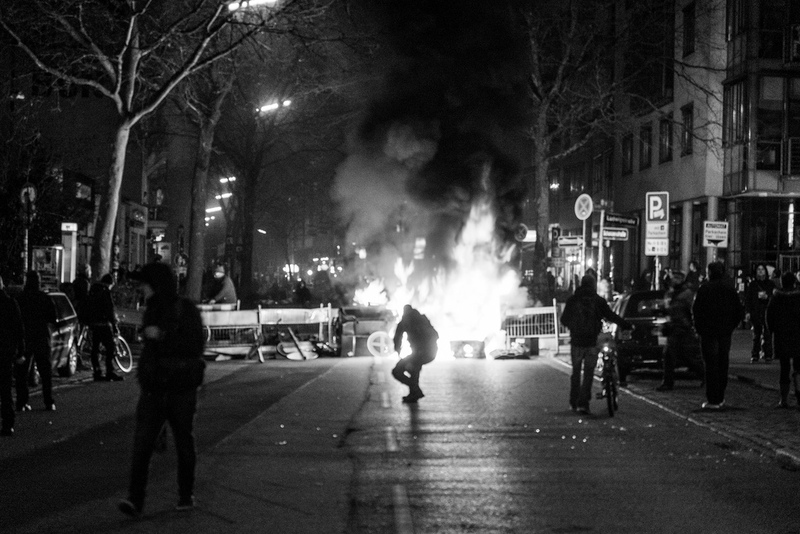 On the other hand, Hamburg has seen the biggest riots in recent years, and after decentralizing the protest the police lost control of the situation. Flora bleibt! 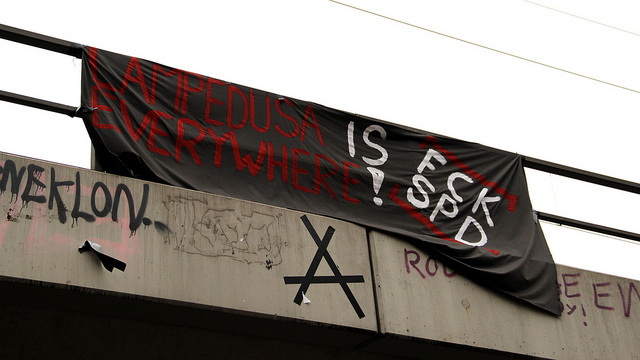 Rote Flora squat stays!